In 2018, we do not give traditional gifts to our customers and partners, but will allow a number of families who have just been freed from slavery to participate in training. For example, they learn to open an account and make sure that their children go to school. Why supporting this initiative? RELEVANT supports, among other things, the reflection with one’s own personality to claim freedom and to further develop self-determination. 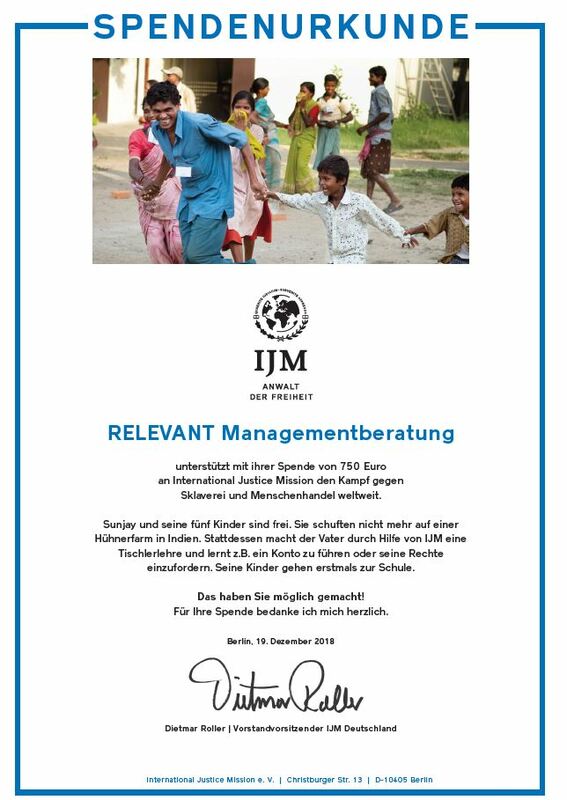 International Justice Mission is committed to freeing people from captivity and slavery and helping them to live in freedom. At Christmas 2018, we enable our clients and partners to give more freedom and self-determination to some families.